Aspirinox Alloys Inc is a pioneer and most eminent manufacturer, exporter and supplier of high-quality Stainless Steel 310 Flanges. This flange offers great corrosion resistance, high durability, and high strength properties to the various power generation industry, gas processing industry, and pharmaceutical industry applications. The SS 310 Flanges are generally made up of chromium and nickel contents. They are characterized by high density and melting point and also have sufficient yield strength and tensile strength and are supposed to provide corrosion resistance. 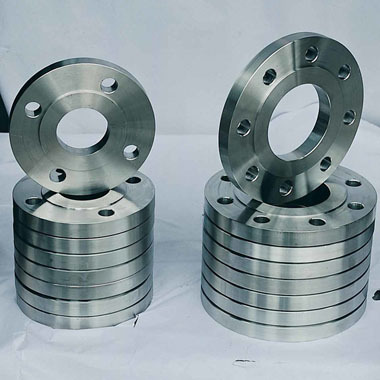 A huge collection of 310 Stainless Steel Flanges are available in different range of diameters, different sizes and different wall thickness depending on the different functions. Customers might find it difficult to work with SS 310 Large Diameters Flange in particular, and inevitably require more space and handling and installation procedures and may pose to be a feat to achieve particularly on remote installations such as oil rigs. These Flanges are available in the form of Stainless Steel 310 Slip on Flanges, SS 310 weld neck flanges, SS 310 Bind flanges, SS 310 Lap Joint Flanges, SS 310 plate flanges, SS 310 threaded flanges and many more. These flanges find their applications in heat exchangers industry, seawater, equipment industry, oil drilling companies and so on and so forth and have undergone extensive testing before packaging. They are cost effective, low maintenance and easy installation process hence making them more user-friendly. Call us today and request a free quote! Specifications for 310 Stainless Steel Flanges. If any specification is not mentioned here, please use the contact button for quick quote. Request the latest 310 Stainless Steel Flanges List. Please click on the request a quote button or click here to request the updated price list and ready stock information along with your requirement. Aspirinox Alloys INC maintains a stock of all standard items and can export them at best price for 310 Stainless Steel Flanges.